A day's hiking in the hills for an experience of the Scottish wilds and a sense of achievement. 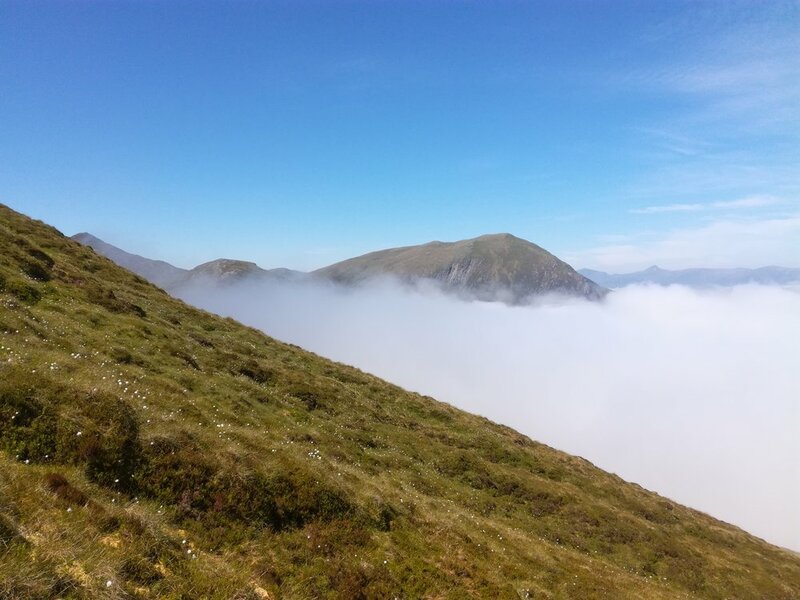 - There are a great number of hill options available, eg one of the hills in the Trossachs, Loch Lomond, Loch Earn or Perthshire/Angus areas. We will be guided by the weather as to the choice of hill. - Cost includes pick up from either Edinburgh or Glasgow and return again and being led by a qualified and insured mountain leader with over 40 years of hill experience. - A reasonable level of fitness and good balance up broken and muddy paths is required. Also a readiness to accept and come equipped for whatever the Scottish weather may throw at us! - Expect walking terrain not to be always on paths and signposted> We’ll walk through woods, bogs and on to the open moor to the summit of either a Munro (hill over 3,000 feet) or a Corbett (hill over 2,500 feet) to hopefully get incredible views of some of Scotland's lochs. - Time permitting, refreshment at a cafe or a pub before returning to Glasgow or Edinburgh.